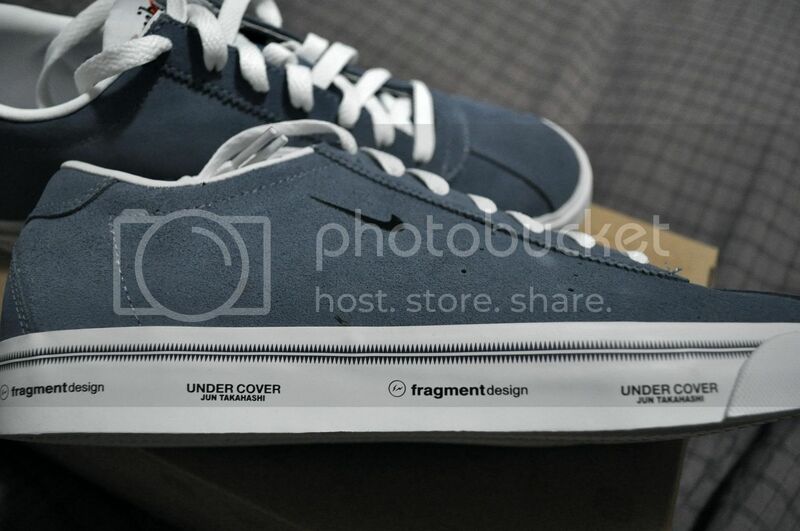 Nike and Fragment Design's super subtle collaboration shoes are nothing new. They've produced a lot of low key but very wearable sneakers using the All Court Low and the Tennis Classic models during the past few seasons. 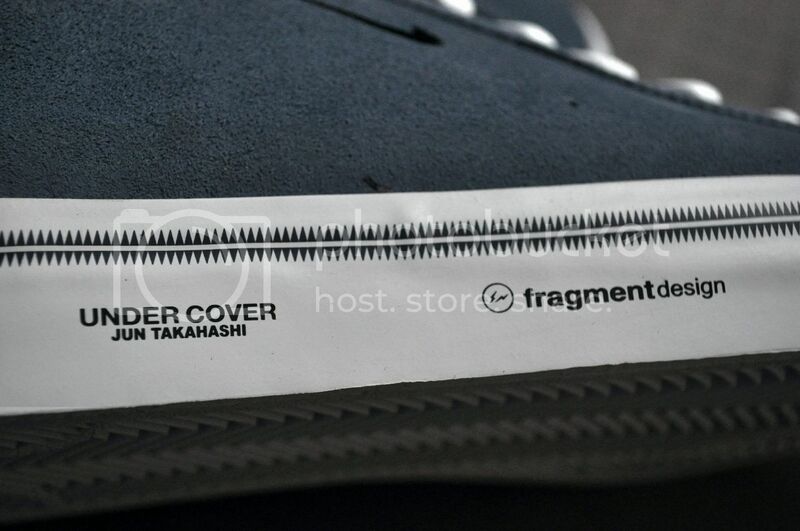 Their latest pair of sneakers, which released this past Saturday (April 23rd) in both grey and blue at the Nike sportswear flagship store 21 Mercer also includes Jun Takahashi's brand Undercover. Fresh off of the latest season of Gyakusou (Undercover's technical running line for Nike), it's a perfect union of the three brands- and the branding is far from subtle. For this Nike x Fragment x Undercover collaboration they chose the Match Classic Nike silhouette which makes for a great spring and summer shoe. Check out detailed photos after the jump. 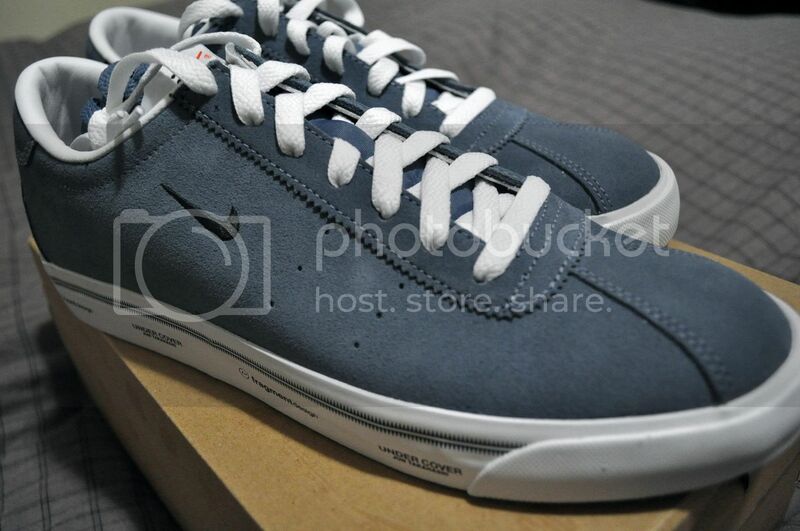 Both Undercover and Fragment are known for their low key color choices, so this shoe came out as expected. The midsole of the sneaker is what sets it apart from any other Nike Match Classic. It's not hard to see that the shoe's appeal comes in the branding scrawled across it. The iconic Fragment lightning bolts as well as the Undercover logo are both prominently featured as well as a cool small tribal pattern which runs around the shoe. My only worry is that with wear the shoe's defining details will be worn away to nothing. 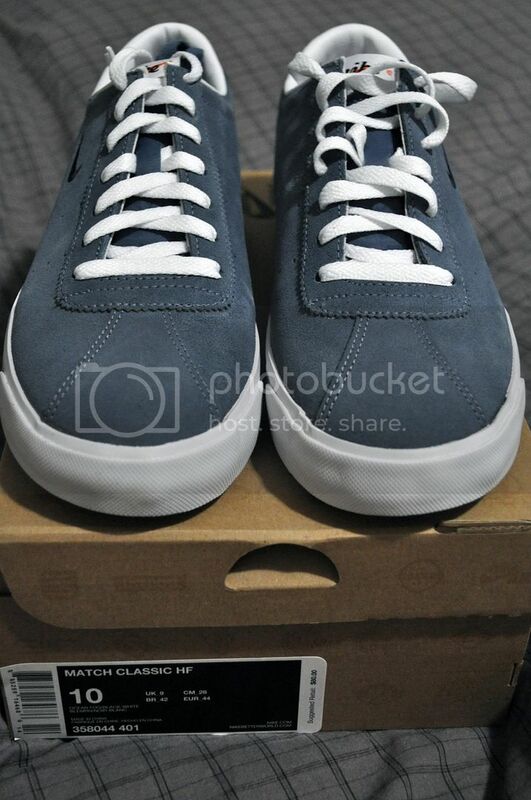 Nevertheless, it's a great kick to wear during the summer with a pair of shorts or jeans and a t-shirt. Retail price was $80, but something tells me your local sneaker shop won't be stocking these Nike's. You can try to phone order them at 21 Mercer in NYC if they still have any stock.